Happy Monday AGAIN and Happy Halloween! 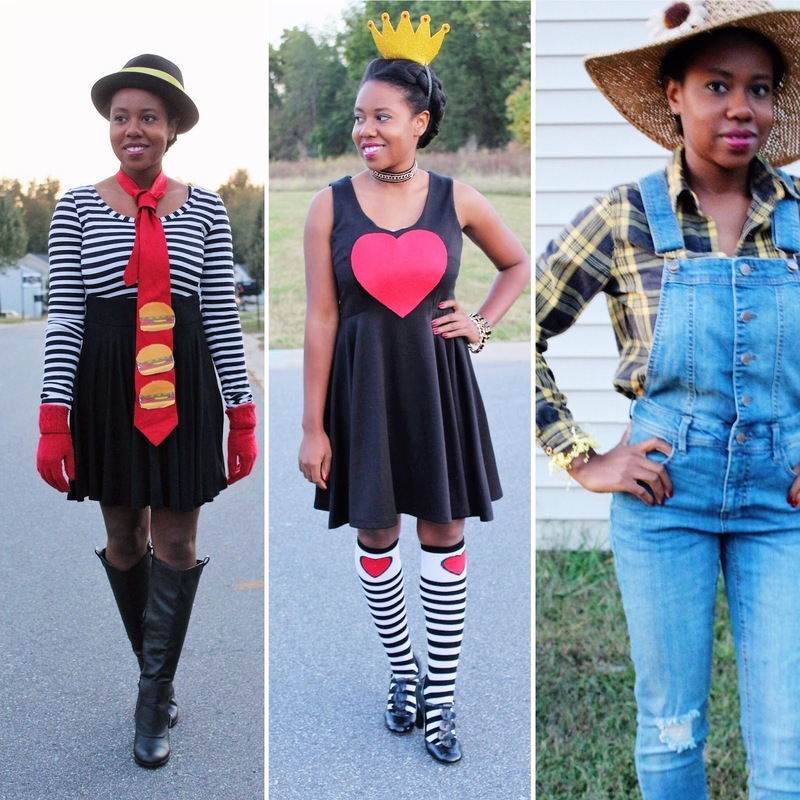 I wanted to share my Halloween Costumes from this weekend with you guys! I found these awesome black angel wings at Michael's last week and all of their Halloween Costumes were 50% off, so they were only $6! I wore them with my black sweater and faux leather leggings to work! 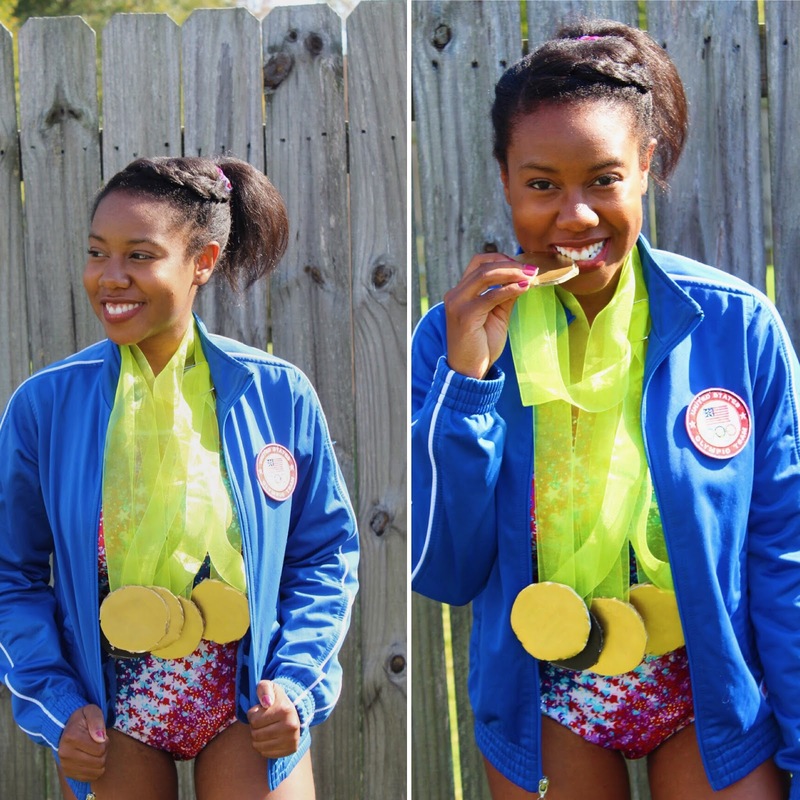 After watching the Olympics, I already knew who I was going to dress up as for Halloween! 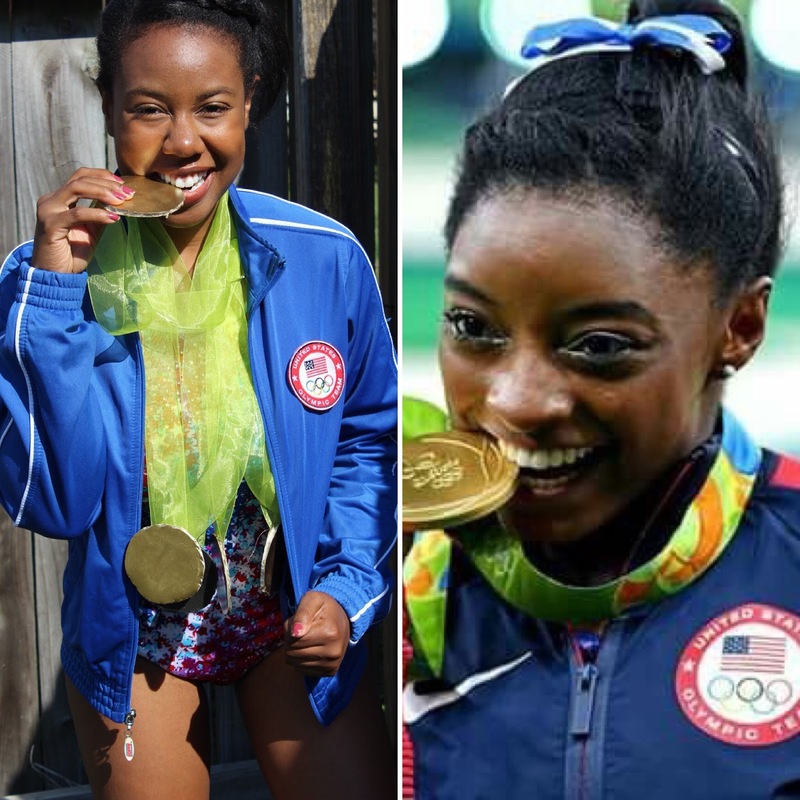 Simone killed it in Rio and not only is she the 2016 Olympic individual all-around, Floor and Vault Gold Medalist, but she's also the Most Decorated American Gymnast. As a child, I always love gymnastics and she's like my idol right now! Hope you guys had a great Halloweekend and have a boo-filled night tonight! I was recently reading my Style Watch Magazine's August issue, and like most August issues, they feature the latest denim trends for back to school and they featured embroidered jeans. I also noticed the rising popularity of embroidered jeans in some stores, and I thought I would jump on the band-wagon and give the trend a try! I loved these jeans at TopShop but I don't $110 love them! 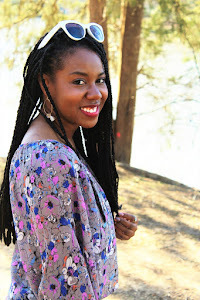 Although I wore embroidered jeans as a child, and they're coming back in style this season, I'm not if I want to invest in a trend I'm not sure is here to stay and to be honest, I don't necessarily see embroidered jeans as one of my staples and would wear enough to spend the big bucks some retailers were pricing... so DIY-time! These jeans are super easy to make and the best thing about a DIY like this is that you're jeans will be one-of-a-kind, and get super creative! I decided to hit one of my favorite stores: GoodWill for some inexpensive jeans I wouldn't mind adding some decorative detail too! Because the jeans were the statement piece of the outfit, I wanted to keep everything else pretty simple and pair the jeans with a simple taupe knit shirt and my burgundy booties since they matched the flower decals on my jeans! These were soooo easy to make, so far my quickest DIY to date! October is Breast Cancer Awareness month. Every year, people,companies and organizations come together for a Pink Campaign to raise awareness and funds for Breast Cancer. Although most people are aware of Breast Cancer, we sometimes forget that prevention is the best medicine and that Breast Cancer can be prevented or detect early via simple methods. Most people have been personally affected or know someone that has been affected by Breast Caner and every two minutes a woman is diagnosed. Breast Cancer awareness is extremely important not only because I am woman and I want to work in women's healthcare, but I lost my grandmother when I was six years old because she didn't detect her cancer early enough and didn't receive treatment until the cancer progressed. We wear pink to remember those who have battled breast cancer and to remind women to take care of their bodies and perform routine breast exams. I always think it's important to note that women aren't the only ones that are affected by Breast Cancer, either the women in their lives or men themselves can be affected and we all should be aware! In today's post,to show my support, I'm wearing pink! Below are some products that support Breast Research and donate proceeds to the Breast Cancer Research Foundation if you would also love to shop pink! I've been dying to purchase a Swell bottle after seeing everyone with them and this pink one is adorable and supports a great cause! For each bottle sold, 20% of the proceeds will go to the BCRF! 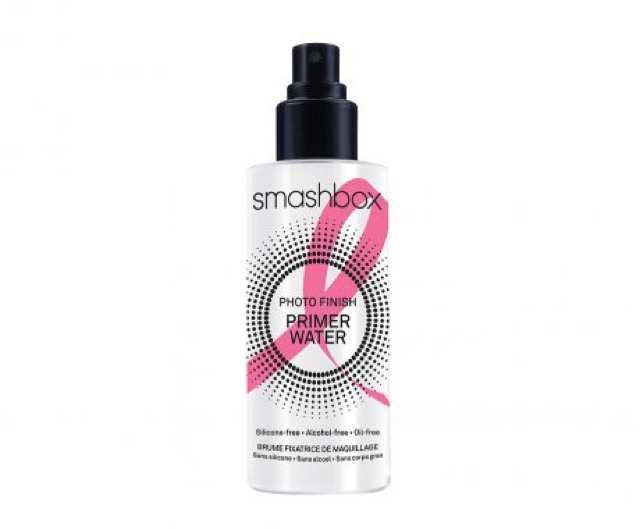 I've heard great things about the Primer Water by Smashbox Cosmestics and I now have a great excuse to purchase it. For every purchase, $5 will be donated to the BCRF. 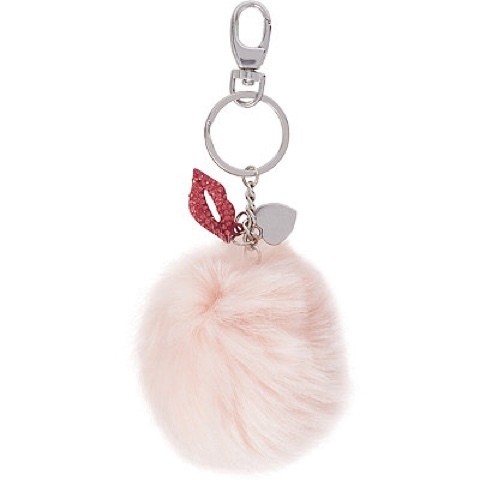 Pom Pom bag charms have been extremely popular this year, they're a fun way to give your bags extra personality. With every purchase Ulta will donate %60 of the proceeds. I am also featuring this bag charm in today's post! The Breast Cancer Research Fund features lots more products of companies that donate and support Breast Cancer research! There you can also learn more and donate yourself!